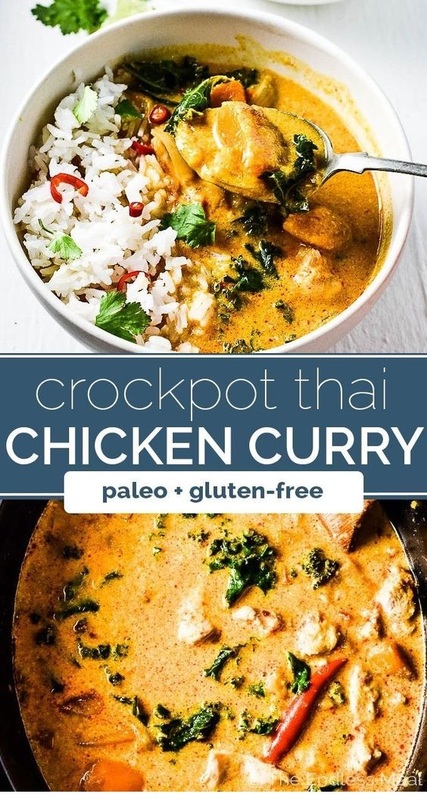 Place all the ingredients, except for the kale, into your crock pot and stir together well. Set your crock pot to cook on high for 4 hours. After 4 hours, stir in the kale and let it sit while you prepare the rice, cauliflower rice or quinoa to serve.